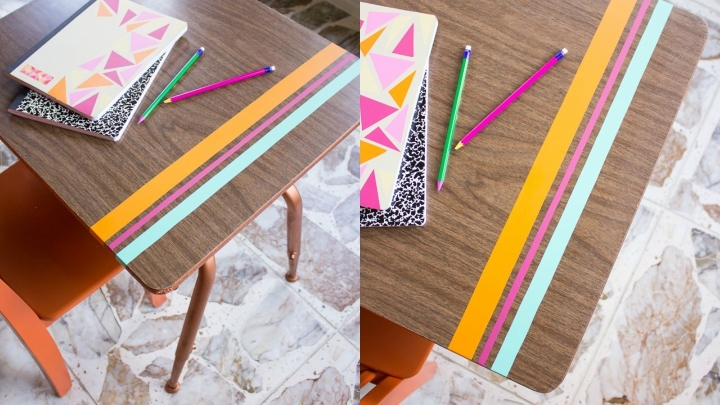 The washi tape is a tape of colors and prints that has many decorative uses. It is very easy to use since it is cut with the fingers and if you want to take off it leaves no mark. Also, you can find all kinds of designs and prints, and more or less wide strips, so customization is total when you use it. 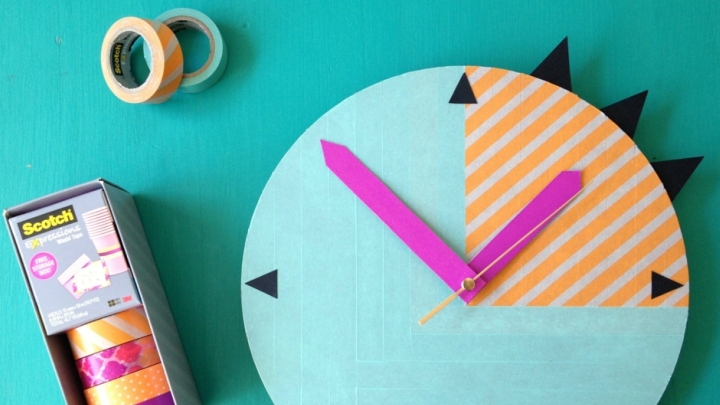 Today we will see how you can make a fun clock helping washi tape. The idea is the blog Unleash Creative and is very simple to perform. Let’s work! To begin, let’s take stock of the materials needed to make this craft. Tape washi tape of the colors and prints that you like. A thin wood sheet with round shape. The mechanism of a clock. The hands of the clock (you can make them yourself or buy them in a store). A drill with a not very thick tip. The first thing you have to do is mark in the center of the clock the place where the mechanism will go. You can search the Internet how to find the exact center of a circle to avoid any surprises when the final assembly arrives. In this case, the author of the manual has opted for a geometric design. You can do it, as you like. The good news is that the washi tape allows the tape removed and replaced without leaving any trace , so it is very comfortable rectify or correct any errors that may arise while snags. If you put the tapes in parallel, make sure there are no gaps between the strips. For the termination is as clean as possible, you can help ruler to mark out where to cut the washi tape, that are the most extreme possible aligned. 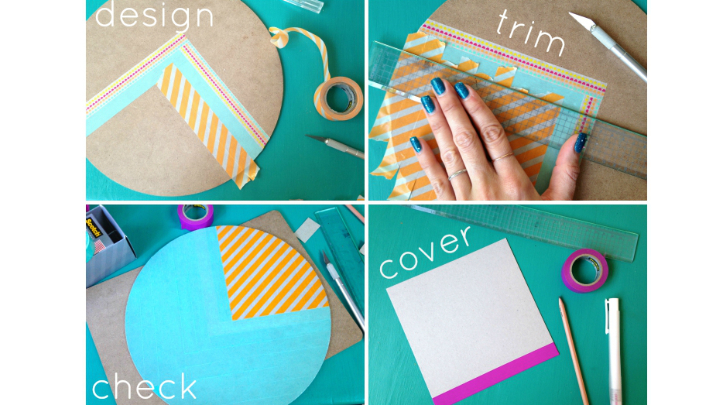 If they reach the end of the circle, use a cutter to cut the ends. 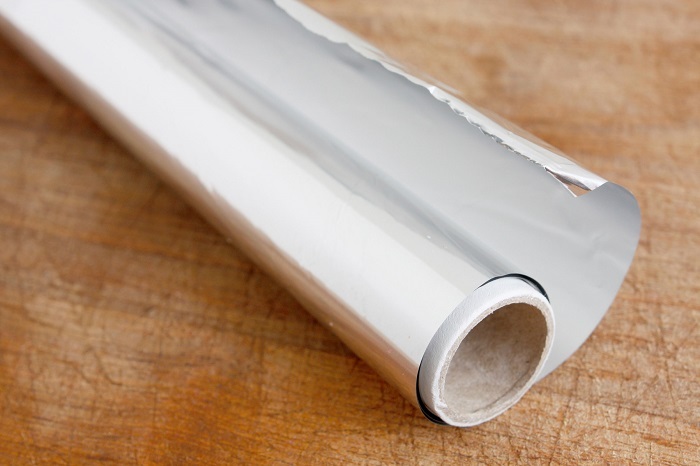 If you bend it towards the back, even if it is not visible, there may be some wrinkles and the finish will not be clean. To cut the tape, rotate the watch leaving the front part face down and with the cutter follow the rounded shape; The wood will guide you. If you fancy handles also with your own hands, disposals on cardboard and cut them out. Then drill a hole in the marker of the pencil you made at the beginning to place the mechanism and hold the needles with the nut that comes with it, which may even include a second hand. 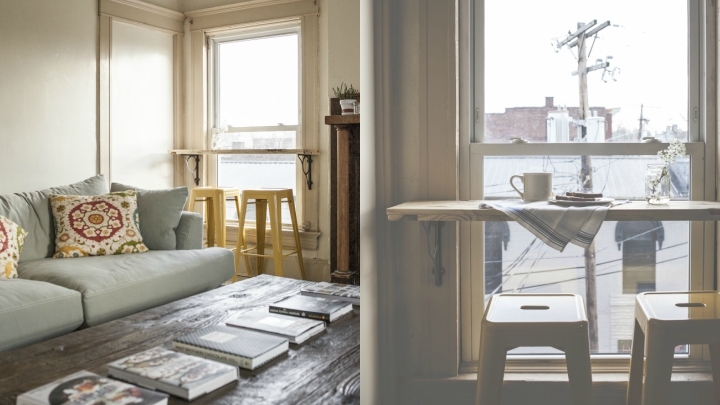 Read the instructions to install correctly, as each mechanism may be different. 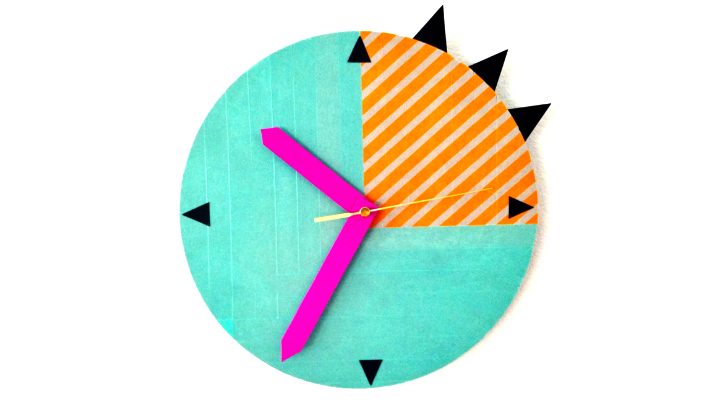 In this DIY they have wanted to give a final touch by cutting small triangles of cardboard and placing them at every quarter hour and also on one side of the clock. It is important that you use a thick cardboard for the hands since a very thin one can deform or bend if there is some moisture. You can also place those that come in the mechanism itself or buy others. As you can see, it is a very simple and very effective craft, which allows customization complete on the size of the clock and the colors and patterns you choose for your tapes washi tape, and can accommodate the colors that predominate in the room where you go to place and the style of your home.